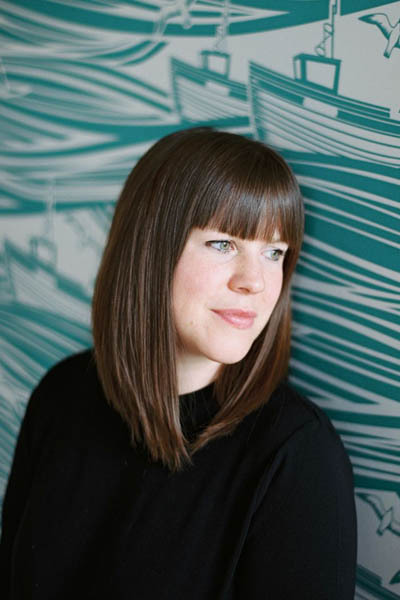 I’ve been working with a client recently to help them furnish their very first home and it has reminded me of what a minefield it can be trying to figure out what you need, what to prioritise and where you can get away with cutting back. 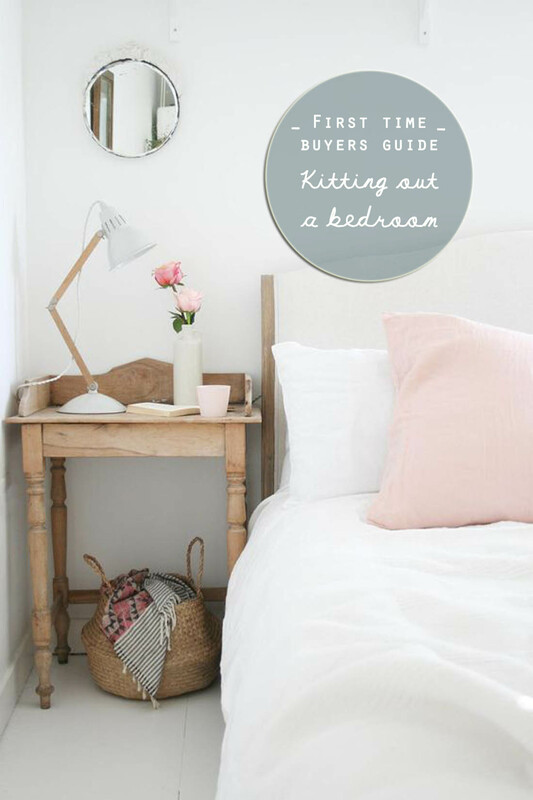 Therefore, I have decided to put together a ‘first time buyer’s guide’ for those of you struggling with the same issues. When you move to a new home there are two pieces of furniture that you can’t really be without – a bed and a sofa. 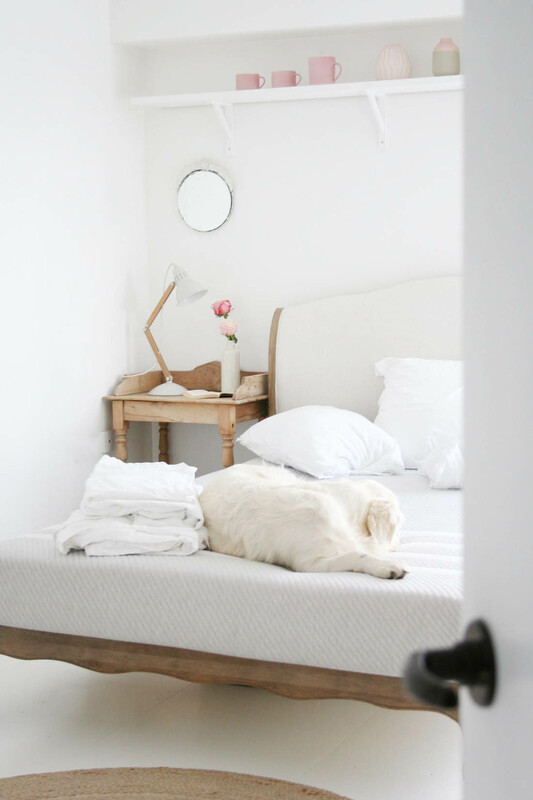 I have decided to focus on the bedroom today with a little help from Happy Beds because it’s a good idea to priortise this room as you can’t get by without proper sleep. I think it’s really important not to buy every single item you will need for the room before you move in. Rooms that grow organically over time feel and look better so as long as you have the basics, the decorative accessories can come later. Bed frame, mattress, bedding, bedlinen, bedside light, bedside table, clothes storage, full length mirror. All the rest can wait until you are ready to complete the room. When you shop for your room it is really important that you always have the exact dimensions of the room on hand so that you can make informed choices as and when you need to. This will speed up the process and give you piece of mind that everything you order will fit. If space allows going kingsize from the start will save you money in the long run, even if you really don’t need such a big bed. If you think there may be the chance of starting a relationship or having kids in the future I promise you you will want a king size bed. 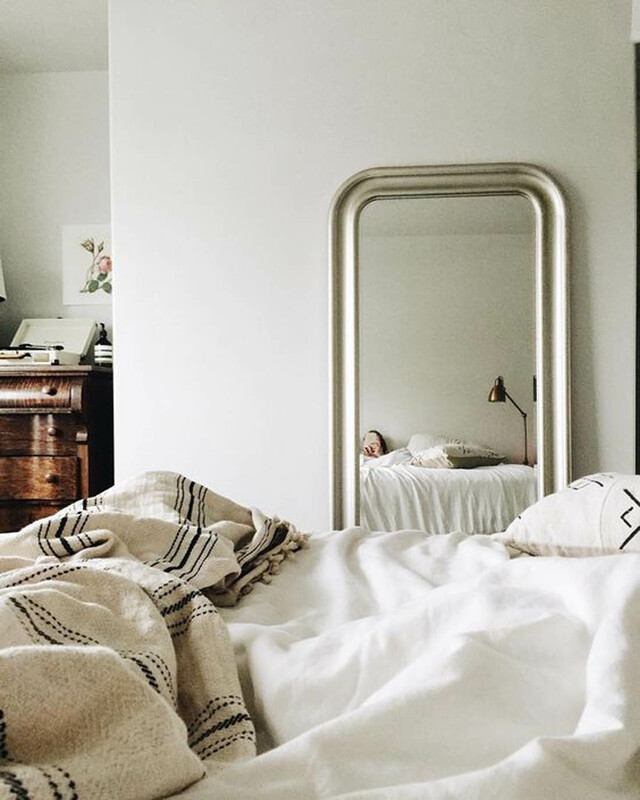 If you only start off with a double, making the transition to a king size will cost so much more than just a new bed frame as you will need to replace the mattress and the bedding too. Quality mattresses are incredibly important as they can be the biggest factor on how well you sleep. Buying your first mattress can be tricky as there are different options and it’s difficult to decipher what is what. To put it in basic terms, open sprung mattresses are most affordable as the springs are made of one long piece of metal. They are very light but they can be less responsive to your body. However, I have found that adding a memory foam mattress topper to an open sprung mattress makes it a great affordable option. Pocket sprung mattresses are more luxurious with thousands of individual springs housed in their own fabric pockets. This makes them more responsive, which can be better for couples sharing a bed. Memory foam mattresses are generally more expensive than open sprung ones but can be less than pocket spring mattresses. They mould to the shape of your body taking pressure off joints but that feeling of ‘closeness’ isn’t for everyone. Whichever mattress you go for remember that it will need to be replaced after about eight years. Here’s a more detailed mattress buying guide. When choosing your first bed frame you need to think about how you will use it. Are you the type of person who lounges around in bed on weekends? 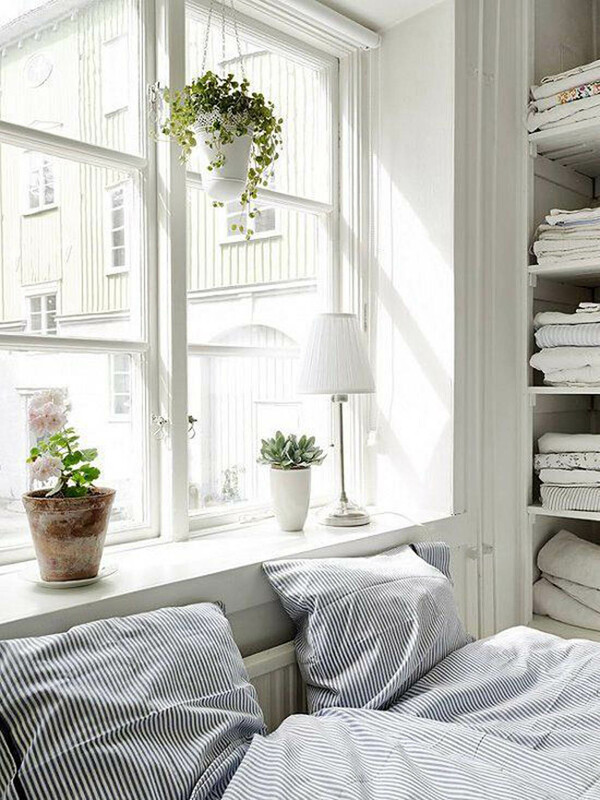 Do you enjoy sitting up in bed to read at night or in the mornings? 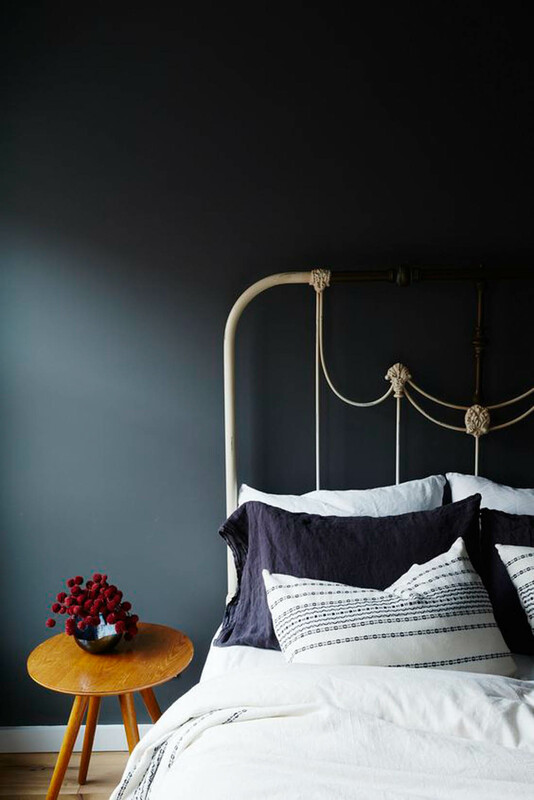 Think about the way you use your bed as this will dictate the type of headboard you should go for, for example, a solid upholstered headboard is perfect for those of us who enjoy sitting up in bed (I like this upholstered bed, don’t you?). I know vintage wrought iron bed frames look beautiful but have you ever tried sitting up against one? Also, if you toss and turn at night a rickety old bed frame isn’t a great option as it can make a lot of noise. Quality beds will last longer and give you a better night’s sleep. When choosing the style of bed frame you want consider whether you will need extra storage. If so, go for a divan base with inbuilt drawers or a bed that lifts up to reveal hidden storage. 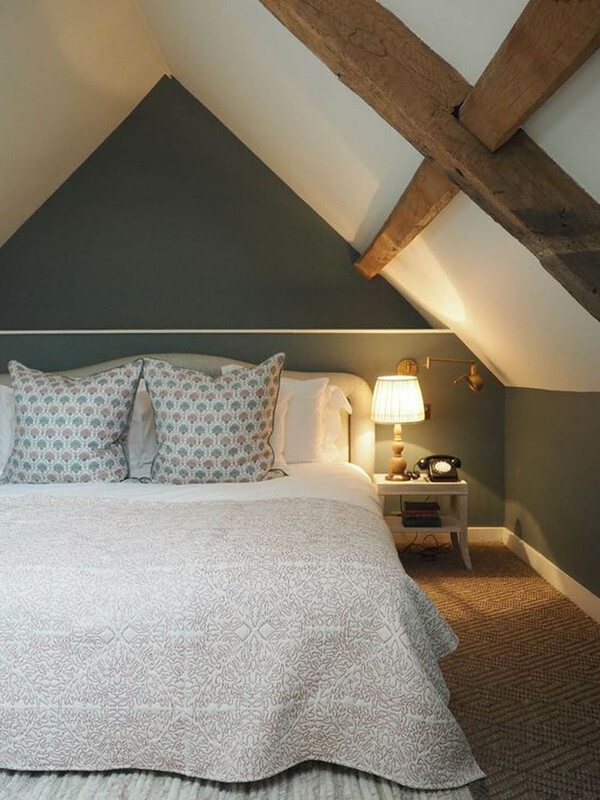 If you know you can cope without this extra storage always try to go with a bed with feet as this will allow the light to travel around the room and will make the room feel brighter and bigger. There are many areas you can scrimp on around the home and you’ll never be worse off for it. However, bedding is not one of those things! 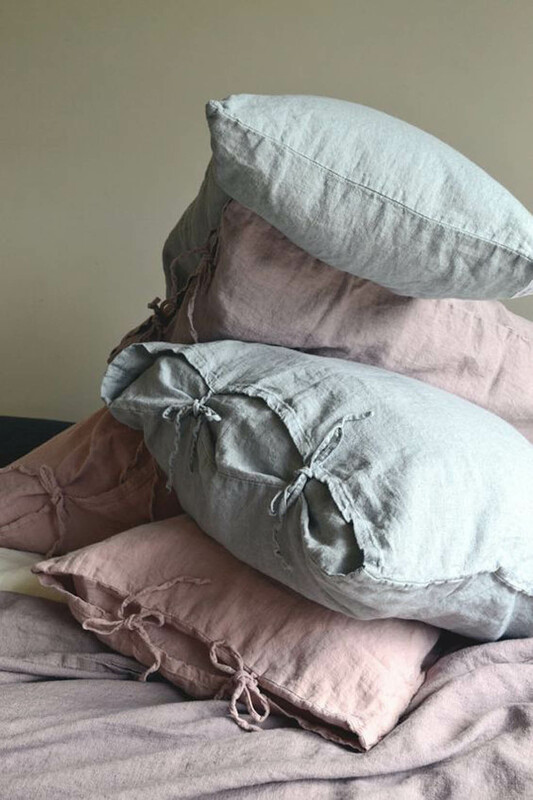 You need to invest in at least two sets of really good quality bedlinen (one to go on the bed whilst the other is being washed) in either 100% cotton or linen. Good quality bedlinen will last, look better and most importantly feel better so splash out. Poor quality bedlinen is a false economy as you will need to replace it so regularly. The same goes for the quality of your duvet and pillows. 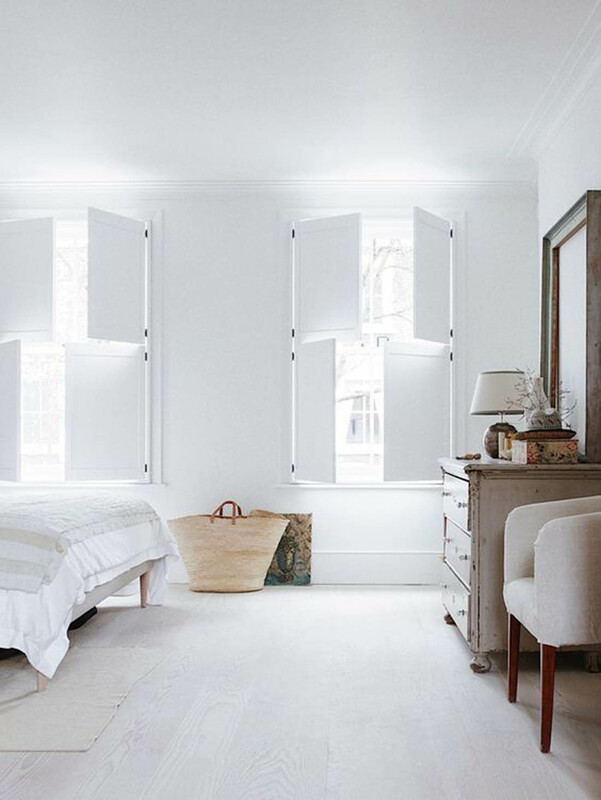 Another area not to scrimp on is the window treatments in your bedroom. 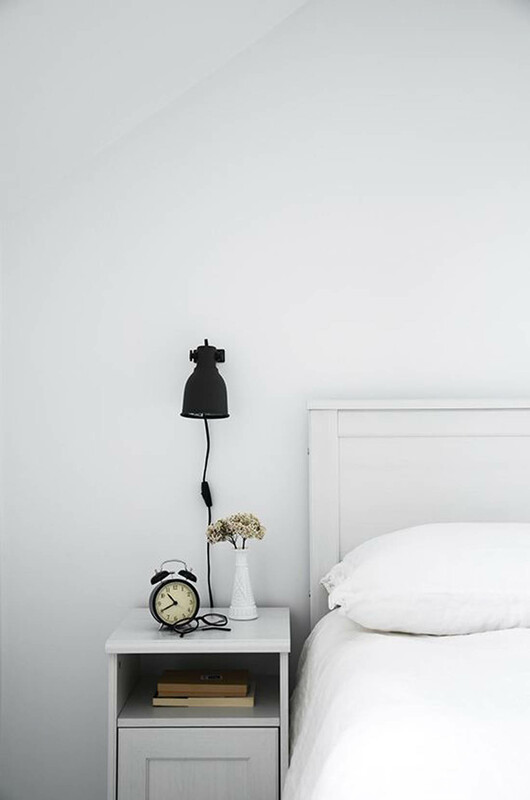 The amount of light that comes into a bedroom can drastically affect the quality of your sleep so you need to make sure that your windows are properly covered and you have well fitted blinds, curtains or shutters. Make sure you order these before you move in so that they can go up at the windows immediately so your first night of sleep isn’t ruined. When it comes to decor my advice would be to go neutral to start off with. 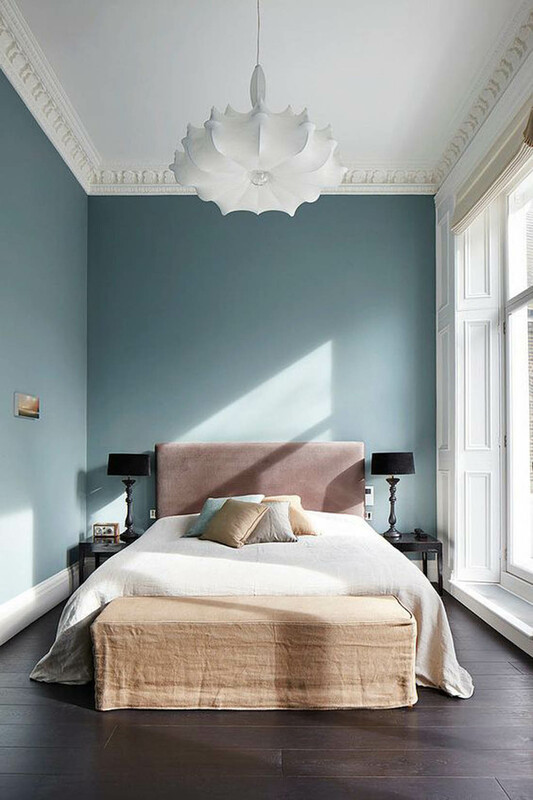 It is much easier to build on a neutral room scheme in the long term once you have settled into your home and have more time to pay attention to the details. If you are about to move in to your first home I hope this is helpful and enjoy – it is such an exciting time! *This post was written in collaboration with Happy Beds. I like the advice about going Kingsize as soon as possible as I’ve been dithering over that very issue. It makes total sense though as I hadn’t considered the cost of upgrading the mattress and all the bedding. Thanks! I wonder if you could help me because I’ve been struggling to decide whether to go for an open spring or pocket spring mattress. I’m interested to hear that you have used a memory foam topper on a cheaper open spring and that works well – would you recommend that? Such a useful post, great to have all these tips in one place for people starting out. I’m the same as Carole – have never had a bigger bed than a double – and have so much nice bedding and a range of duvets in that size now I probably never will upgrade. I wish I could start agin with all your tips to hand! Great tips, Katy! I love my king size and definitely think it’s been a good investment. Decent bedding too can certainly help with a good night’s sleep. Gorgeous images you’ve sourced here- and some fab tips! Some wonderful tips here. I wish I’d read this years ago. I’d love a king-size bed but just don’t have the room for one. I wouldn’t be able to get in or out of my bedroom if we went king size. Definitely need to sort out the window treatments in my bedroom though. That’s top of the priority list at the moment.